When Is the Best Time to Buy a Truck? Whether your goal is replacing an old faithful with a new model or buying for the first time, you want to know the best time to buy a truck. Answers range from the start of a new year to Christmas and the end of the year, including New Year's Eve. Fortunately, when it comes to shopping at car dealerships, you have plenty of opportunities to get a good deal on that Ford-F150, RAM 1500, or Toyota Tundra that makes your heart race. Just as it's true when shopping for a new car, there's no single answer to the question, "When is the best time to buy a truck?" 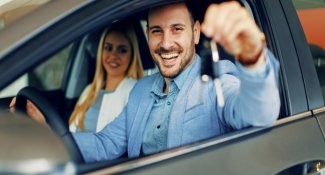 If you need a new vehicle now, now is the best time, but if you have the luxury of extra time for car buying and truck shopping, your options are open. When hunting for a better deal, some of the best times to buy a truck are when car dealerships need to make their sales goals at the end of the month or meet their year-end sales quotas. Consider the last week of the month and the last week of the year when looking for a great time of year get your best price on a full-size truck. Cash-back incentives often expire at the end of a month or year, so catching those before they're gone helps you keep money in your wallet or bank account and get the truck you want. New vehicle dealerships are typically open six or seven days each week and the day you choose for truck buying makes a difference between a good deal and a better deal. The best time to buy a truck at a car dealership is typically Monday through Wednesday. Weekends get hectic because people who work during the week have time available to shop, and the lively media ads and promotions help attract more people, too. Sales and finance personnel are less busy early in the week, so they're more willing to spend time with you, answer your questions, and work a better deal. When you see those eye-catching advertisements created to draw you in on the weekend, think twice before you rush in to buy. However, certain weekends provide grand opportunities for bargains. Memorial Day is memorable when it's truck or car-buying time. This start-of-summer holiday gives truck and car buyers the jump on the swell of significant buying and deal-making. Car dealerships offer their best choices of closeouts on this holiday weekend. The Fourth of July is another holiday that's great for inventory featuring the current model year and incoming year's models, so you have a wide selection from which to choose. The Labor Day holiday weekend closes out the summer in many folks' minds, and car dealerships are looking to close out their current models to ensure room for the new model year vehicles. For buyers, it's a good time of the year to find a healthy selection of trucks and competitive dealer pricing. If you plan on holiday shopping, avoid some of the pressure of crowded showrooms and busy salespeople by visiting the car dealership on a less busy day to take your test drive. Go back to the showroom on the holiday, make your deal, and capture the added advertised savings. Well into autumn, Veterans Day offers an excellent opportunity to snag good deals on new and used trucks. Later in November, Black Friday gets retailers revved up for the Christmas holiday shopping season and car dealers are no different. 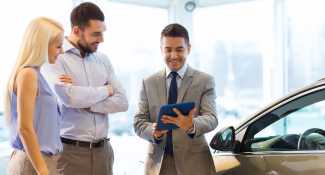 Manufacturers' incentives to dealers and dealer discounts to buyers boost customer interest and help showroom owners meet their sales goals. Look for Black Friday savings on sticker prices of outgoing models as dealerships work to clear their inventory for the end of the year. Get a jump on the crowds and put your purchasing ducks in a row before the big day by determining how much you can afford and want to spend for a truck. 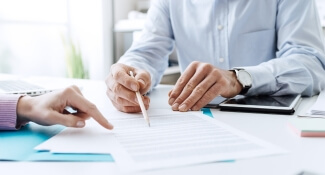 Your credit union or bank should be happy to pre-approve an auto loan and estimate your monthly payments so that you can compare terms with the dealer's financing. If you're planning a trade-in, research your vehicle's current value and investigate whether selling it yourself gives you a better deal. December is the last month of the year, and the last chance truck manufacturers and sellers have to make their yearly sales goals. If Black Friday is the best day, December might be the best month for making sales quotas that shine. Salespeople and dealers striving for annual bonuses translate into better deals for you, especially if you have comprehensive information and sharp negotiating skills. When sellers want to close out this year on a higher note than last year, they price inventory to move out of the showroom and onto the street. Savvy buyers who know how to strike when the iron is hot can hammer out great deals. Data from TrueCar shows December is prime time for buying small or premium SUVs, such as the Ford Escape, Honda CR-V, Toyota 4Runner, and Land Rover Range Rover Evoque. If Santa didn't put that shiny new truck under your tree, take advantage of bargains during the last week and last day of the year. The week between Christmas and New Year's Eve and New Year's Day can mean ringing out the old and driving in the new with deep discounts on truck sticker prices. Vehicle buyers saved 8.3% on New Year's Eve and 8.5% on New Year's Day, according to TrueCar's data for 2015. If you don't want to miss your New Year's Eve party or parades and football games on the first day of the year, take comfort in knowing the auto industry calendar ends its December sales month on January 2 of the next year. With so many choices of the best time of year to buy a truck, you would think there couldn't be a worst time, but there is. Avoid making a deal for that new or used truck at the beginning of the month. Just as the end of the month is the best time because sellers want to make month-end deals, they have less incentive in the early part of the month to slash prices. Another poor choice is buying at the start of a model year. Dealers typically won't offer discounts for new models, but if you want a truck from the previous model year, you might be in luck. Similarly, don't expect good deals on vehicles in high demand or when a newly designed model comes out. If you want one, plan to pay a premium price for it. What are some of the worst holidays to buy a truck? Mother's Day, Father's Day, and Easter Sunday. If dealers are open, their A-team staff members are not likely to be there. Whether you desire or need a new or used one, the best time to buy a truck is whenever you find it. To play it smart, watch the calendar, come with vehicle research, have money in the bank or financing arrangements, and head for the dealership. Test drive, ask questions, and with your knowledge and skill, negotiate a better deal.